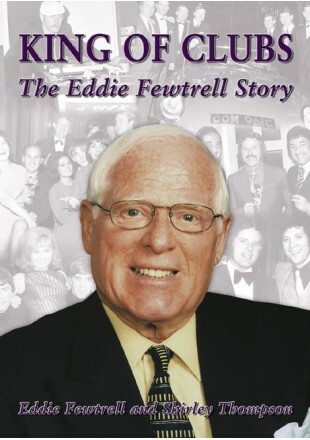 Birmingham would definitely not be the place that it is today, without Eddie Fewtrell. Born one of ten children in the 1930s, in the backstreets of Aston, much of Eddie’s childhood was spent keeping house and caring for his younger brothers. An alcoholic father and an invalid mother prevented him from attending school and leading a normal life – a scenario a million light years away from the vast nightclub empire that he was destined to build. By the 1970s he had become the most powerful man in Birmingham’s Clubland. With the support of his large family, in particular his seven brothers, he went on to achieve even greater success. Eddie’s first club, the Bermuda Club, was in Navigation Street, Eddie moved to pastures new, in the form of the Cedar Club, on Constitution Hill. Over the next few years Eddie opened Rebecca’s, Abigail’s, Boogie’s nightclub, Boogie’s Brasserie, Edward’s No.7, Edward’s No.8, the Paramount pub and Goldwyn’s. Barbarella’s became the top showcase for many up and coming UK pop groups. In 1989, he sold his clubs to Ansells but he returned three years later to open a new wave of clubs. Professional success came at a high price; Eddie reveals how his millionaire lifestyle and the pursuit of wealth led to tragic consequences. Other contributors include Laurie Hornsby, Kenny Lynch, Patti Bell, Tony Christie, Raymond Froggatt and H. Cain, Mike Alexander, BBC WM presenter Phil Upton, pop legends Bev Bevan, Steve Gibbons and Chuck Botfield. Comedians Don Maclean, Dave Ismay and Eddie’s good friend Bernard Manning, interviewed shortly before his tragic death.